The Shelborne South beach is throwing a New Year’s Eve party for the ages. Packed with amenities and a live DJ, this poolside extravaganza is not for the faint of heart. Join us for a taste of the famous South Beach nightlife on the most important night of the year. South Beach defines high-voltage nightlife, and that’s exactly what The Shelborne’s pool party delivers this New Year’s Eve. Dance poolside for hours to the beat of a live DJ’s epic set list and feel the heat of a crowd of Miami’s most devoted nighttime revelers. Dip into a five hour premium open bar and when the DJ leads the crowd in a countdown, have your glass of complimentary bubbly ready to toast. Wanting to feel like a South Beach legend? Pick up a VIP package and be treated like royalty with perks like reserved seating and bottle service. State-of-the art sound equipment make the playlist you’ve anticipated hearing all year worth the wait. A shimmering pool and crisp white exteriors exude sultry Miami vibes while heart-pumping beats take this bash to a ten. Watch reflections of South Beach’s glitterati mixing and mingling in the pool and take in the night sky and the Shelborne’s multi-color lights. There’s no better place to party than South Beach, and no better location than its most popular hotel. 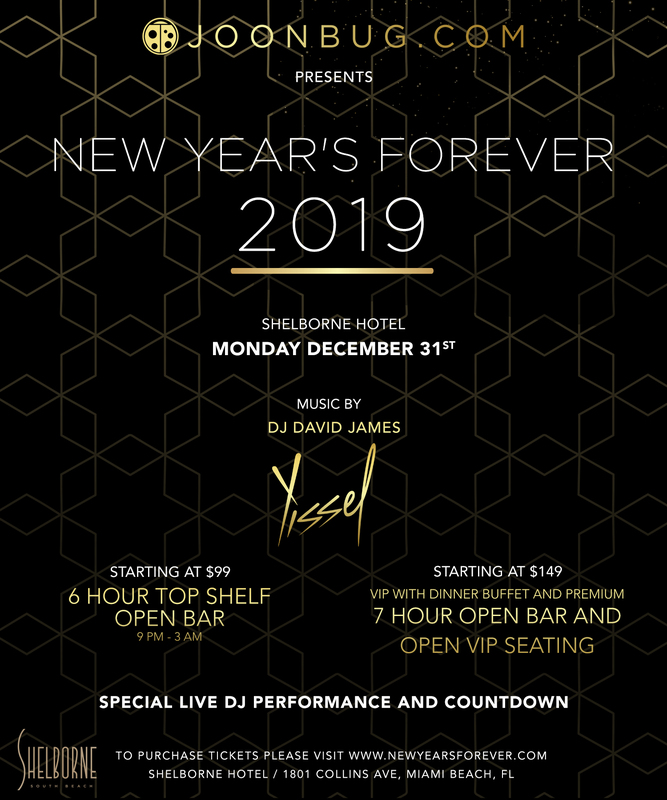 If there’s ever a time to go all out, it’s New Year’s Eve, and Miami Shelborne South Beach promises to help you do just this New Year’s Eve. Tickets to the party of the century are on sale now.